Dr. Kuo-Shyan Lin studied nuclear engineering and health physics at the National Tsing Hua University in Hsinchu, Taiwan. He then undertook his doctoral and postdoctoral training in radiochemistry at the Johns Hopkins University in Baltimore. After continuing his work as a Research Associate at the Brookhaven National Laboratory in New York, and then as an Assistant Professor at the University of Pittsburgh, Dr. Lin joined the BC Cancer, part of the Provincial Health Services Authority, (BC Cancer) in 2009. He is currently an Associate Professor in the Department of Radiology at UBC, and a Senior Scientist in the Department of Molecular Oncology at BC Cancer. 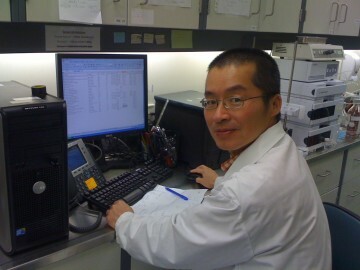 He also heads the Radiochemistry Program at the BC Cancer Research Centre of Excellence for Functional Cancer Imaging.